That's how my poor blog feels I think!! :) I have a whole bunch of posts in the works of things I want to commit to paper (so to speak)... I just have not had the time. So this month has been busy, great, challenging, exhausting, but overall just good. Last weekend we made like the pets and did nothing. It was perfect!! We watched a lot of Whale Wars. I'll admit, I'm obsessed with watching this now. Brian doesn't mind and watches it with me. I love the Sea Shepards. I totally cheer them on for preventing the unnecessary slaughter of whales. If I ever won the lottery, I'd definitely be sending them some money. Have you seen this show? Published on examiner.com on August 17, 2010. The other two have nothing on Nala. She is always curled up on the couch or on a chair in our bedroom. i totally watch that show! i'm all about saving the whales, too! I've never seen that show! I should see if I can auto tune it to watch. Is it on Hulu? 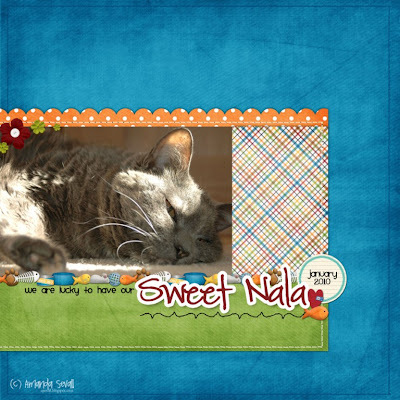 I love the layout of your cat! I miss having a cat but my DH is highly allergic. Sigh. I just LOVE that page and I'm happy to see it much closer-up here on your blog. Great little details! 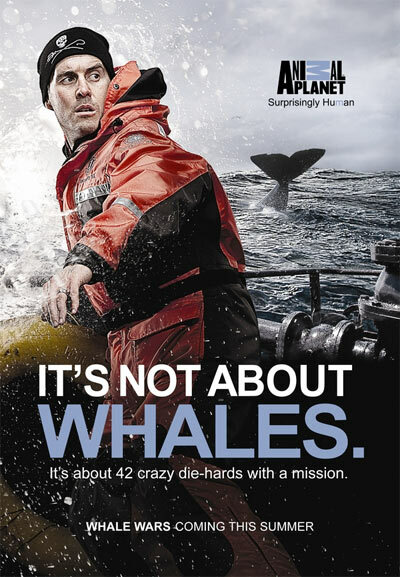 Haven't ever seen Whale Wars, but now I'll have to check it out!